The manufacturing and storage of biological and pharmaceutical substances in regulated environments requires the monitoring of various environmental parameters such as temperature, humidity and differential pressure. Vaisala viewLinc is a fail-safe, GMP-compliant monitoring system that records critical environmental parameters and registers threshold violations. A Continuous Monitoring System (CMS) allows you to measure, record and track critical environmental parameters. You will be notified if defined thresholds are exceeded. Vaisala’s viewLinc continuous monitoring system is a complete solution offering data loggers, software and service, including comprehensive IQ/OQ documentation. 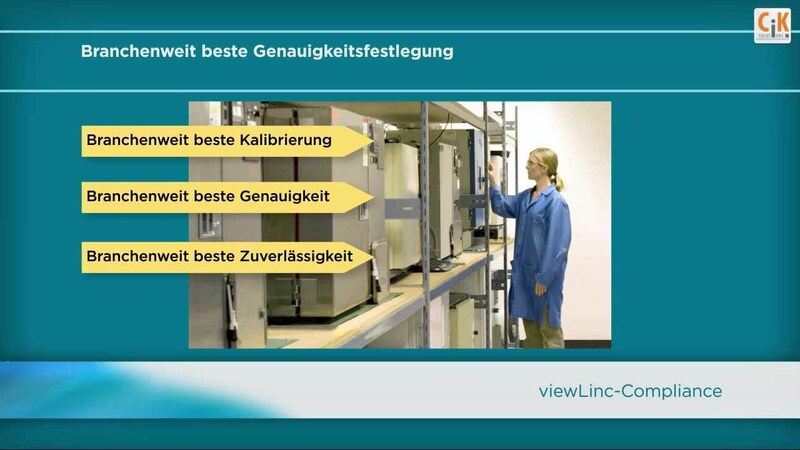 The viewLinc monitoring system excels through maximum reliability, flexibility and scalability. De-centralized recording points (Vaisala Data Loggers and Vaisala Transmitters) can be used in wired and wireless configurations, connected to your central server or network. With the fail-safe system for pharmaceutical monitoring, you can prove uninterrupted compliance with legal regulations based on the principles of GxP, GMP (Good Manufacturing Practice) and GAMP (Good Automated Manufacturing Practice). The monitoring system has been developed for use in the pharmaceutical and biotechnology industries but is also suitable for monitoring environmental conditions where high-quality products and processes need to be monitored. Vaisala’s complete answer to automated temperature monitoring is providing an optimal software solution. It offers a safe, fast and easy way to continuously monitor critical equipment and environments. Numerous convenience functions for operators ensure a high acceptance of the solution among the users. Recorded real-time data are backed up with triple redundancy to prevent data loss in the event of power failures, network disruptions and operator errors. The world’s largest pharmaceutical and biotechnology companies rely on viewLinc software to ensure compliance with GMP, FDA 21 CFR Part 11 and Appendix 11, CBER, SFDA, PMDA, ICH and other international regulations. Vaisala’s continuous monitoring system is accredited to international standards - full IQ/OQ documentation is available. It meets the requirements of GxP, ISO9001, GMP, GLP, 21 CFR Part 11 and FDA. The Vaisala continuous monitoring system is based on high-quality, independent data loggers, which are highly precise and long-term stable when recording temperature and humidity. Depending on the model, the data loggers are accredited and traceable to ISO17025 or calibrated according to ICH climate points. The data loggers are suitable for autonomous validation and mapping studies and can later be integrated into the monitoring system. The flexible reporting abilities of the Vaisala system meet the requirements of the FDA, AABB, AATB and other international regulations and give you peace of mind for auditing and quality assurance. Reports of viewLinc software can be individualized to readings, time periods, locations, devices and much more, and sent automatically without user intervention. The devices of the monitoring system can be used to record temperature, relative humidity and analogue sensors of your choice. External channels can use current loop and voltage inputs to record differential pressure, CO2, liquid level, light, particle, or conductivity data. Using optional digital inputs, you can also monitor door contacts or alarm switches. The fail-safe alarm generation can be easily configured and automated. If a problem occurs, a message is generated and the corresponding alarms are sent to smartphones, pagers, computers, or landlines. The area security feature allows you to control messages by days, hours, and users. Thus, alarm functions can be adjusted according to shift changes, escalation procedures and the conformity requirements, ready for auditing.